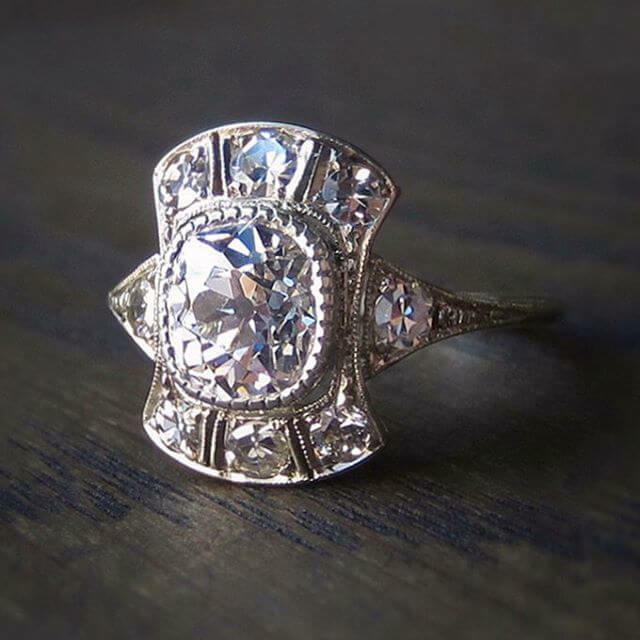 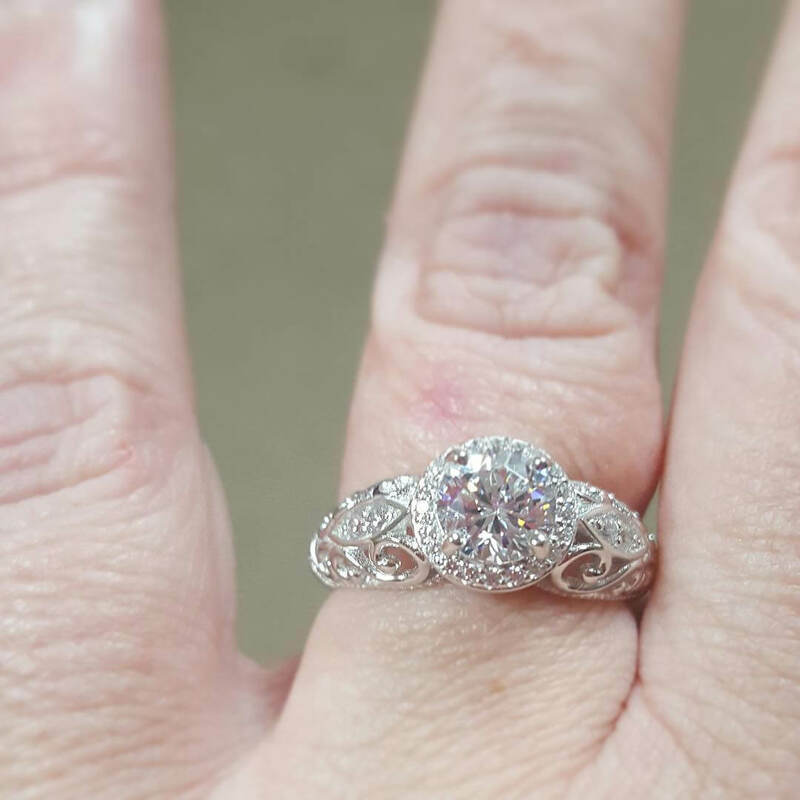 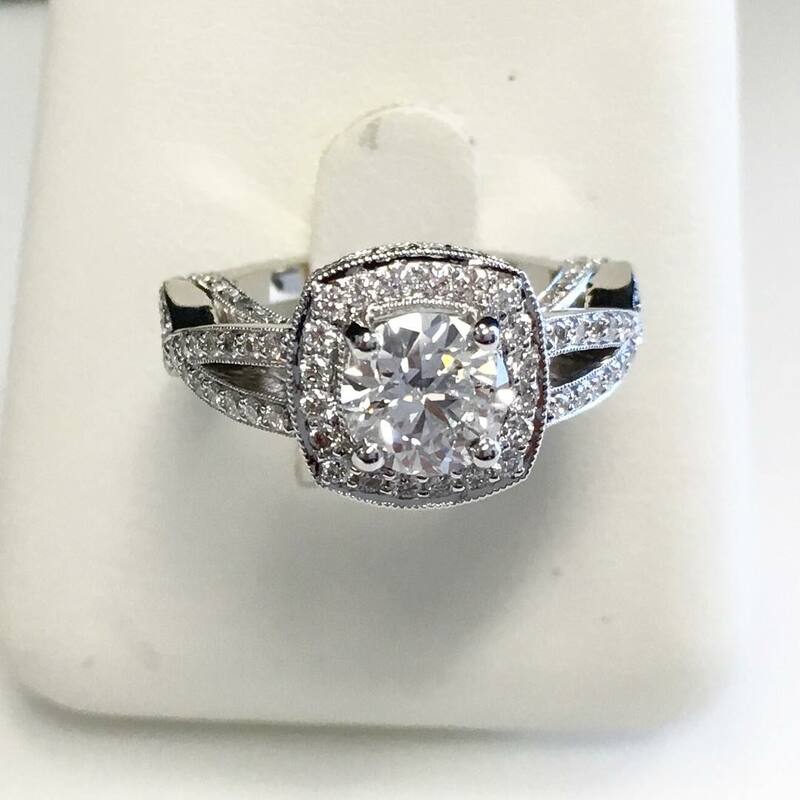 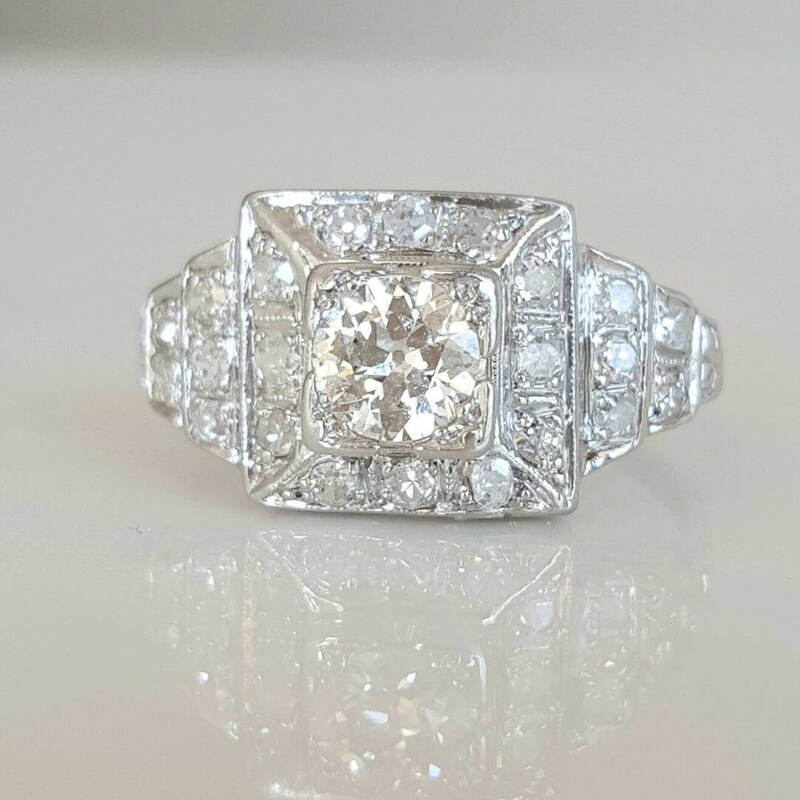 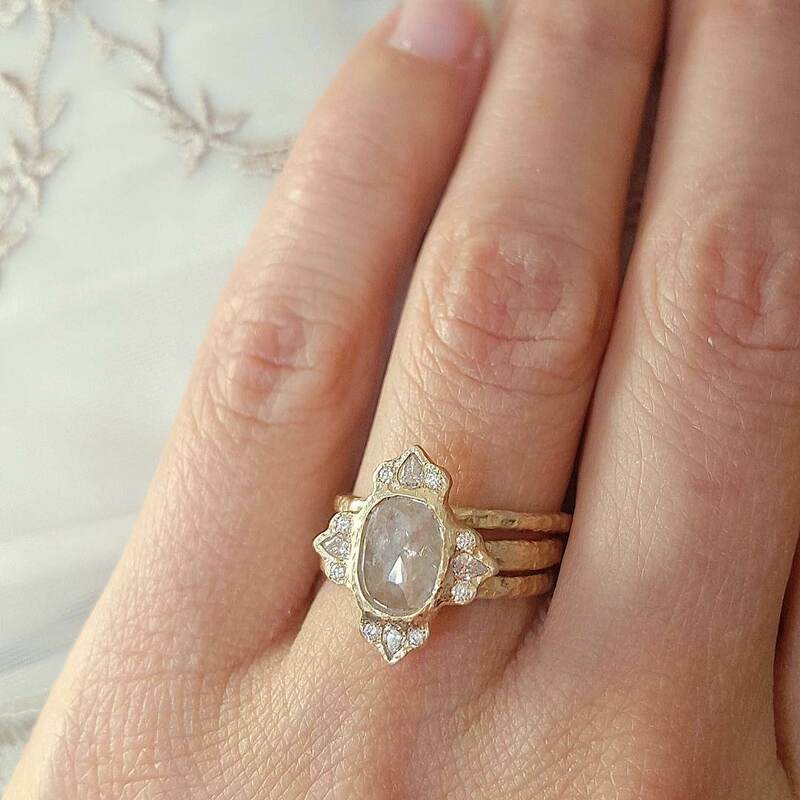 Inspired by the charm of the past, vintage style engagement rings are heirlooms in the making.As for what defines a ring as a “vintage”, it’s truly all in the details. 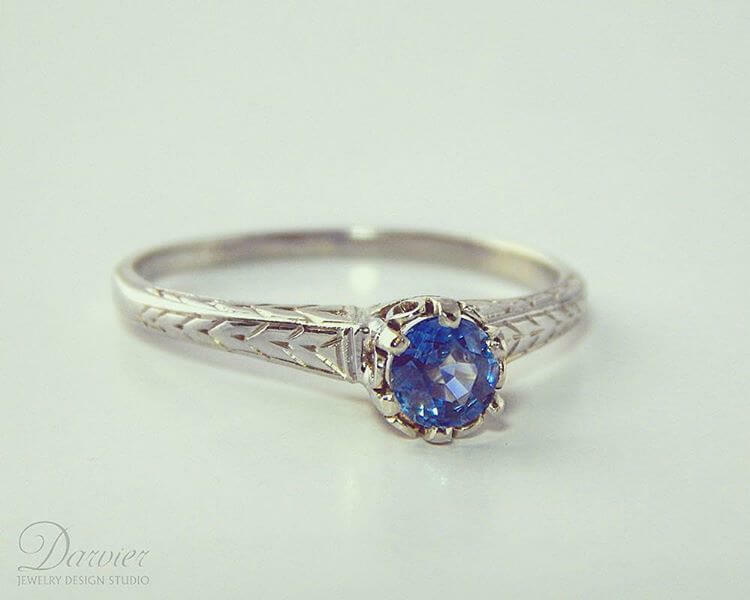 Engraved metals, floral motifs, triple-set stones, even gem stones like sapphires and emeralds give a ring an old-world feel. 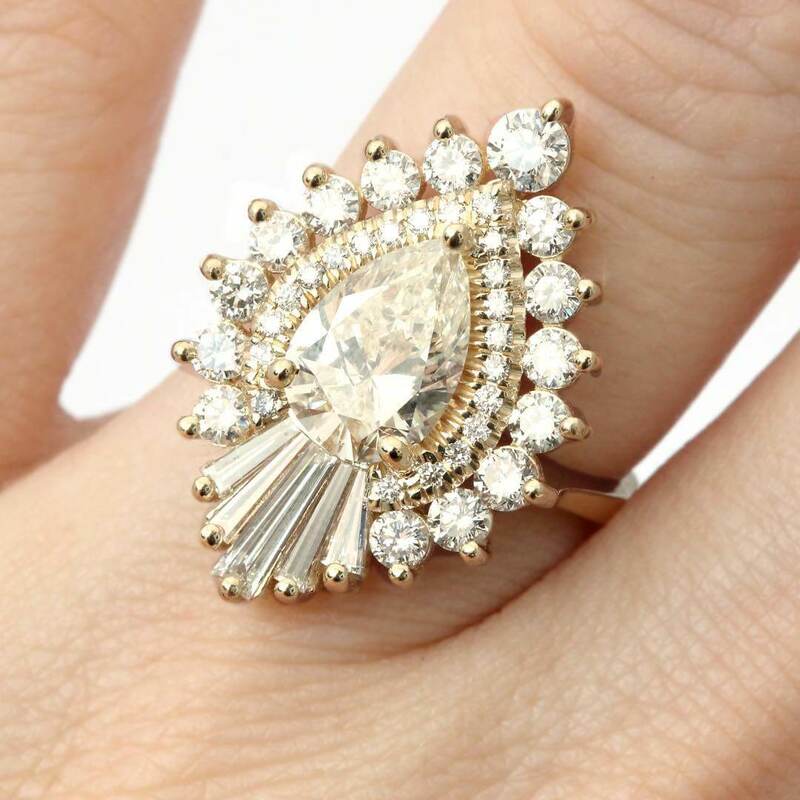 In the debate on vintage vs. modern – we provide insights to help you make your choice. 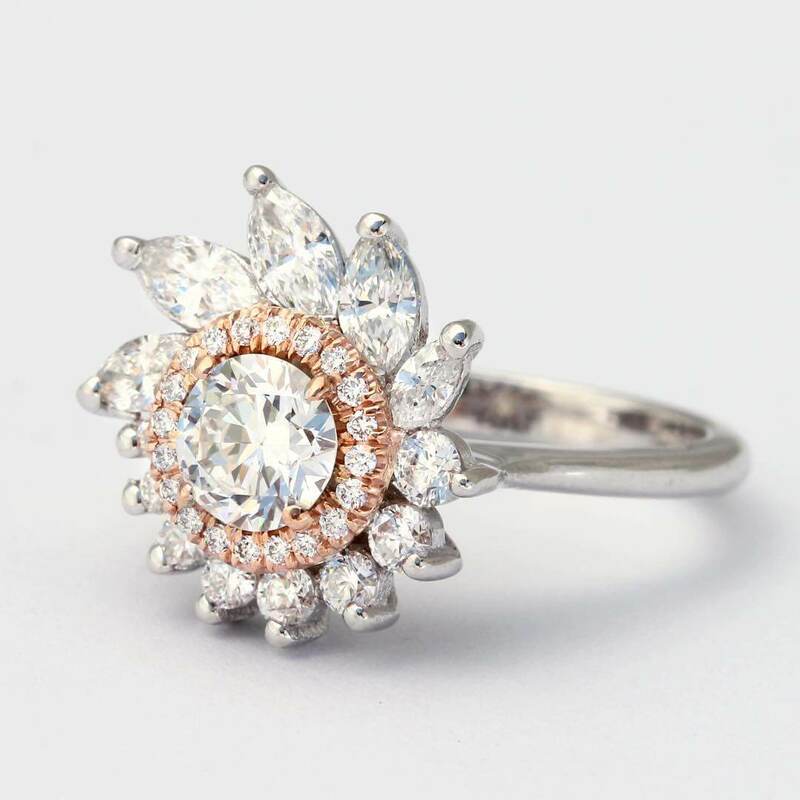 Vintage engagement rings and modern engagement rings both typically feature different diamond shapes. 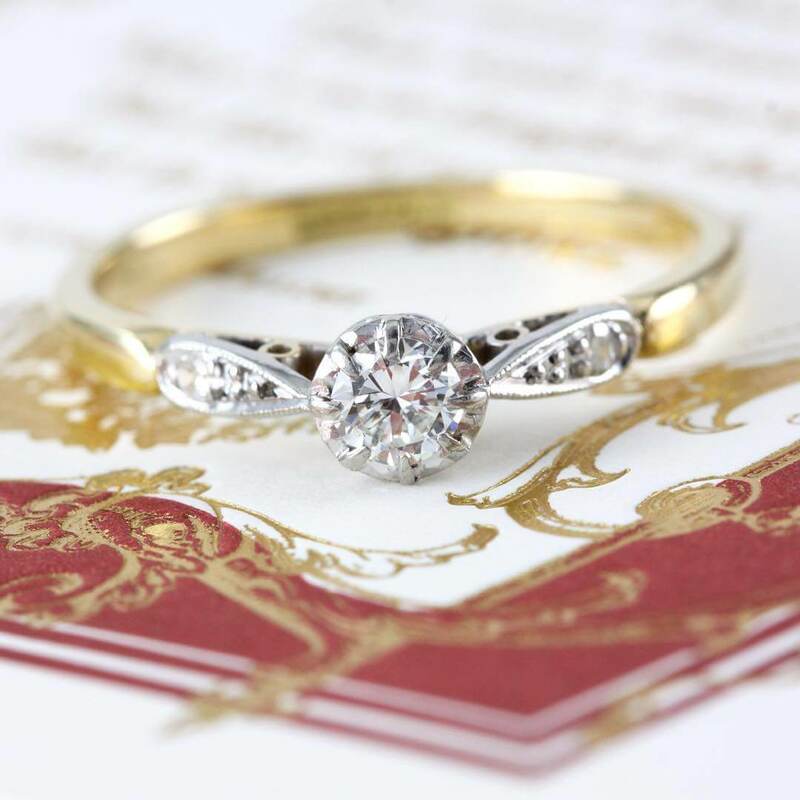 Vintage engagement rings are likely to feature emerald, asscher or rose-cut diamonds. 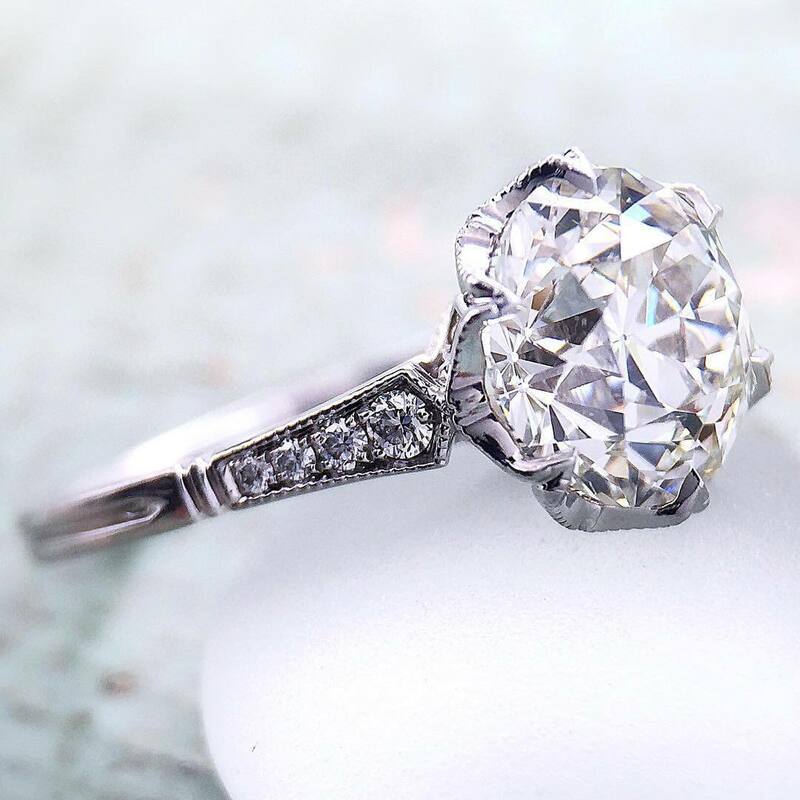 These diamonds are normally less brilliant than the princess-cut or the round-brilliant diamonds of modern engagement rings but far more romantic. 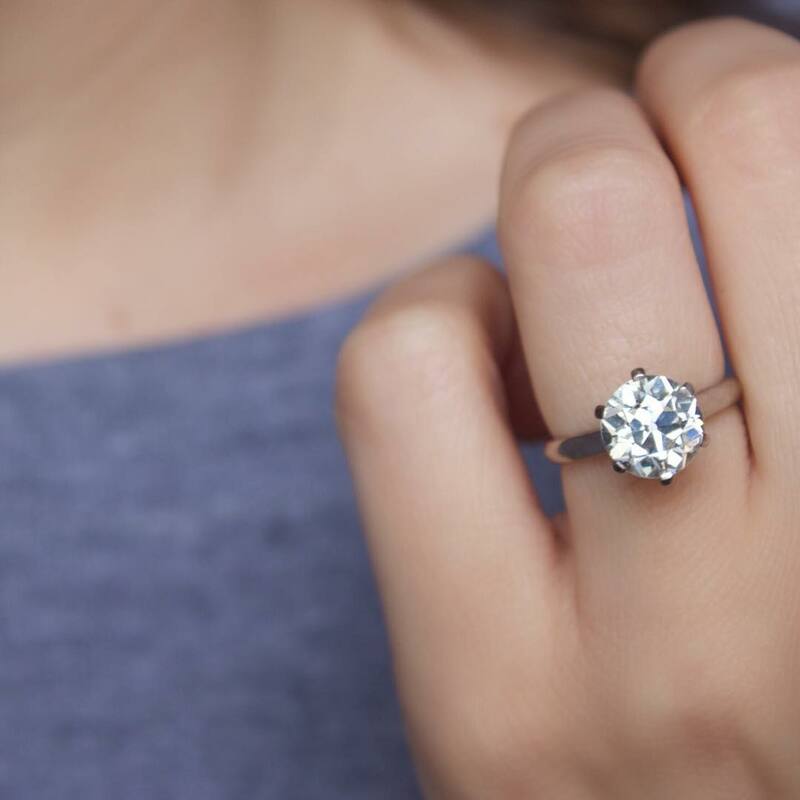 Colored diamonds have gained popularity in recent years, even though most modern engagement rings still feature only white diamonds. 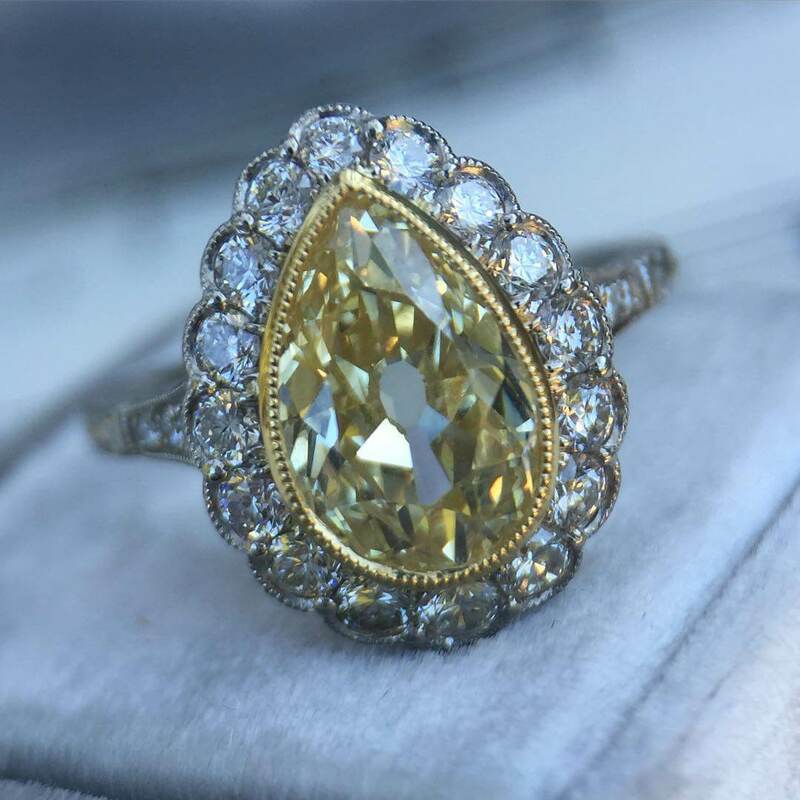 Many vintage engagement rings have colored diamonds or gemstones integrated into their designs. 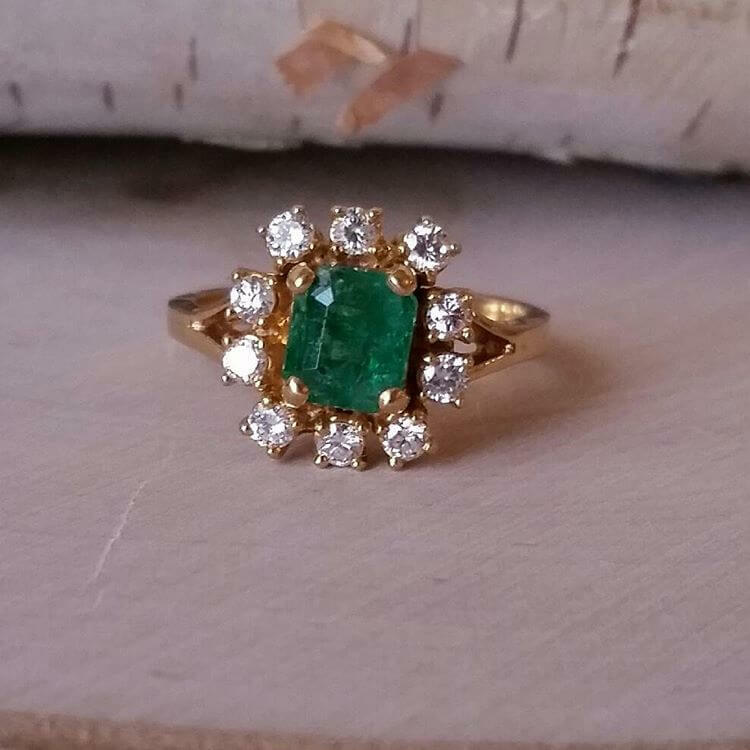 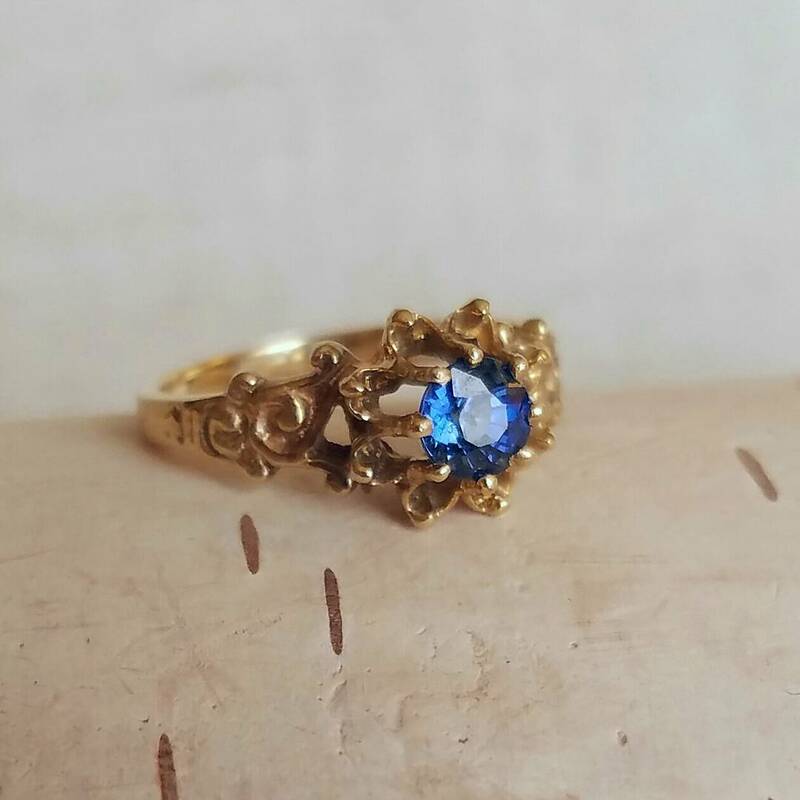 Emeralds, sapphires, rubies and yellow diamonds are often found on vintage engagement rings.Yellow gold and platinum are also popular metals used in vintage jewelry along with rose gold. 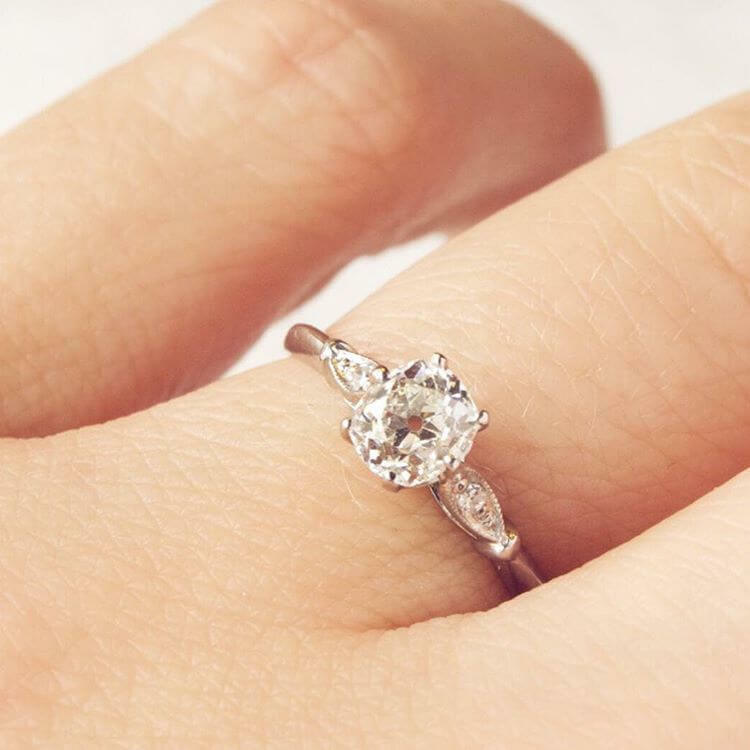 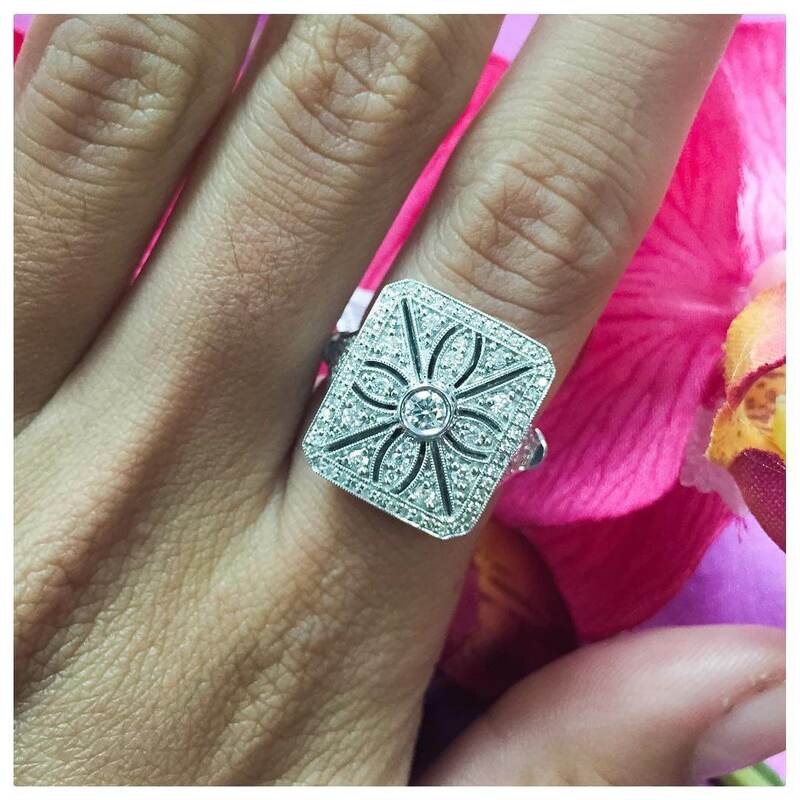 Modern engagement rings follow trends to feature white gold. 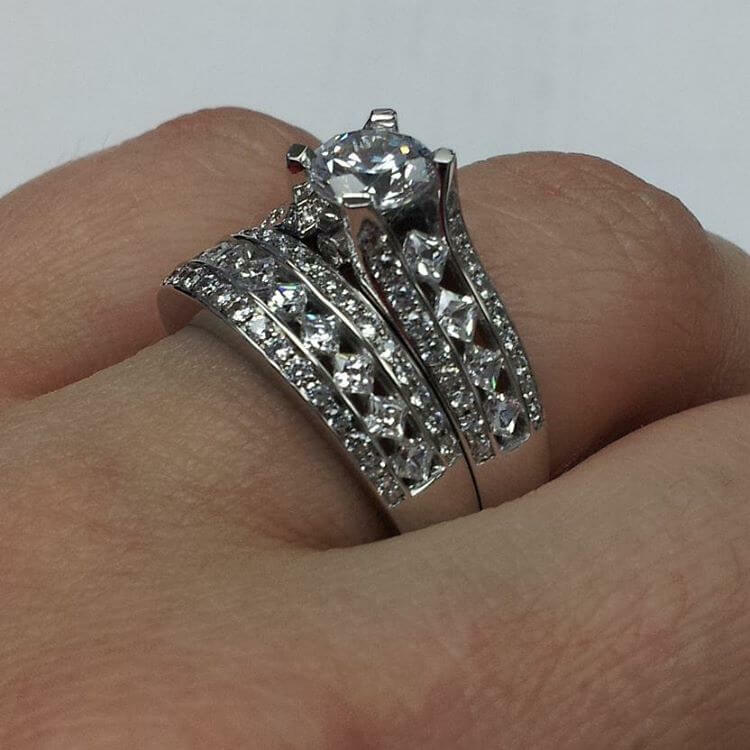 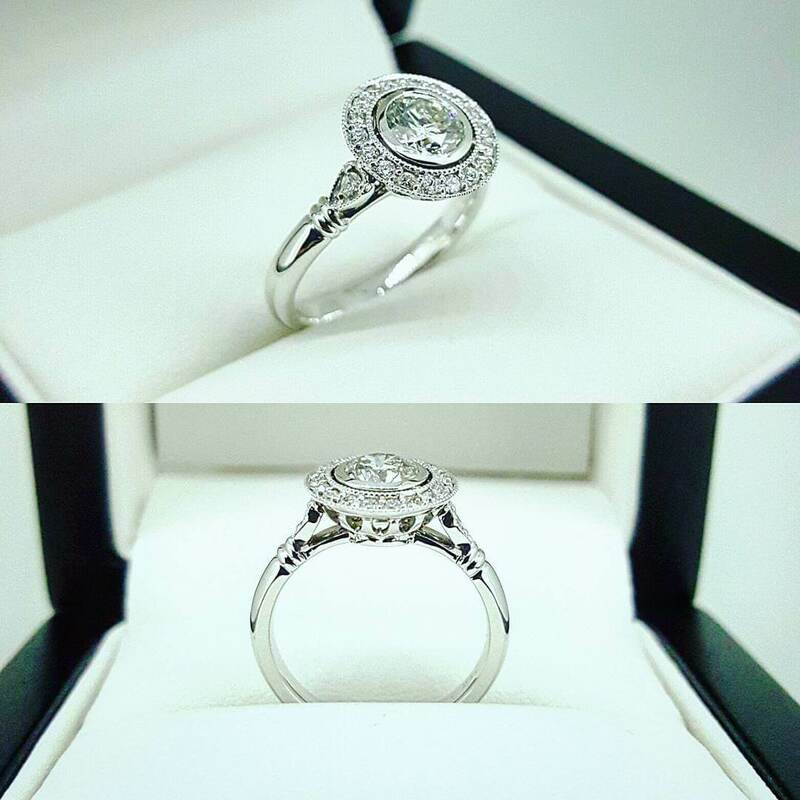 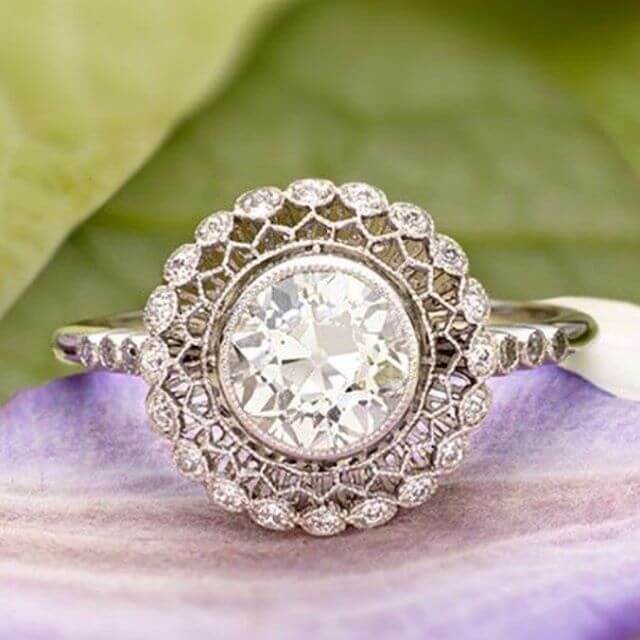 Vintage engagement rings are more ornate than modern engagement rings, which have cleaner lines. 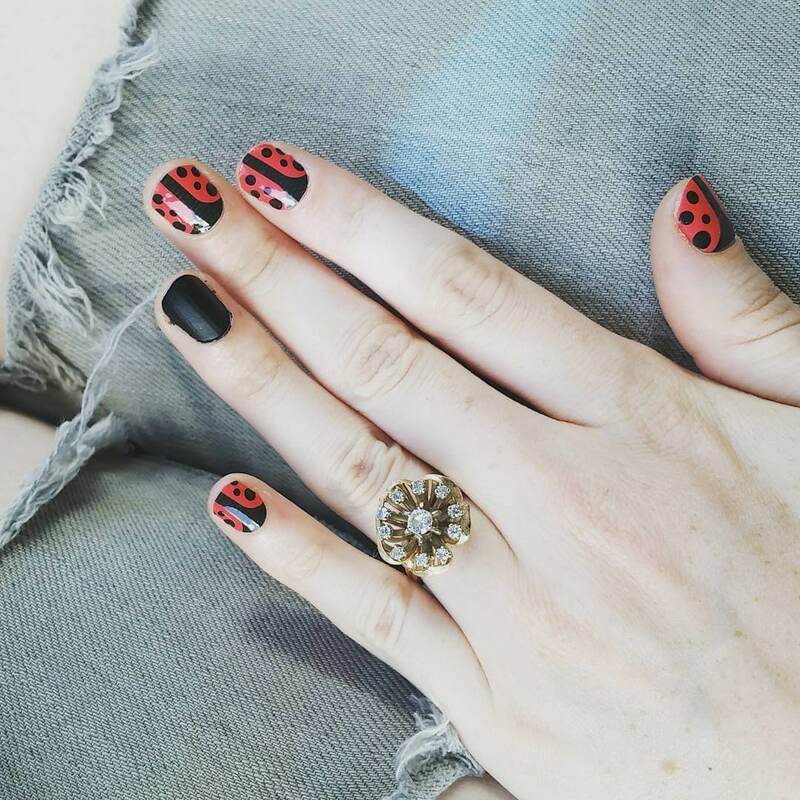 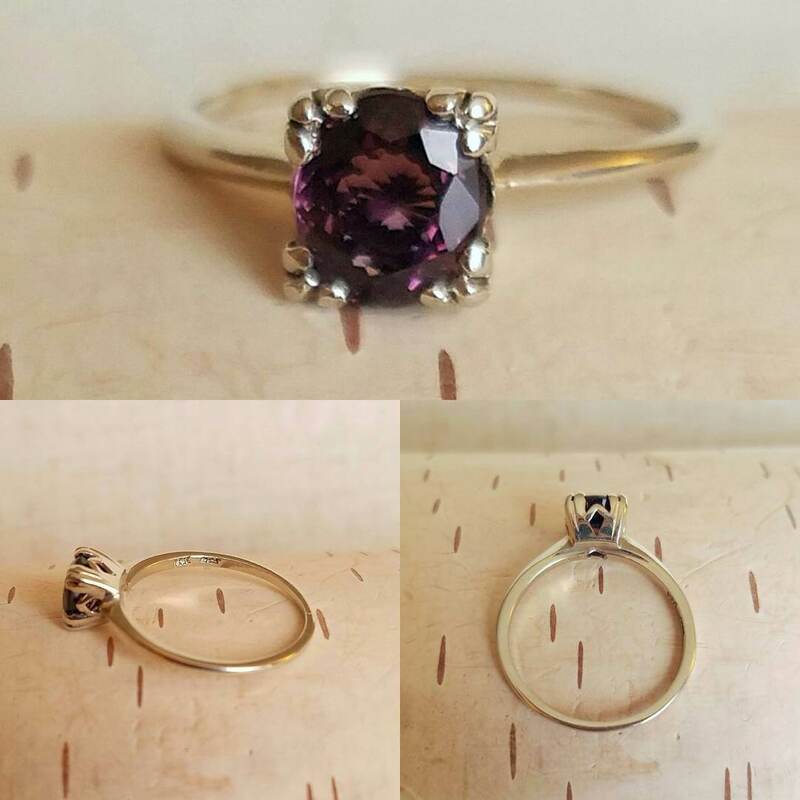 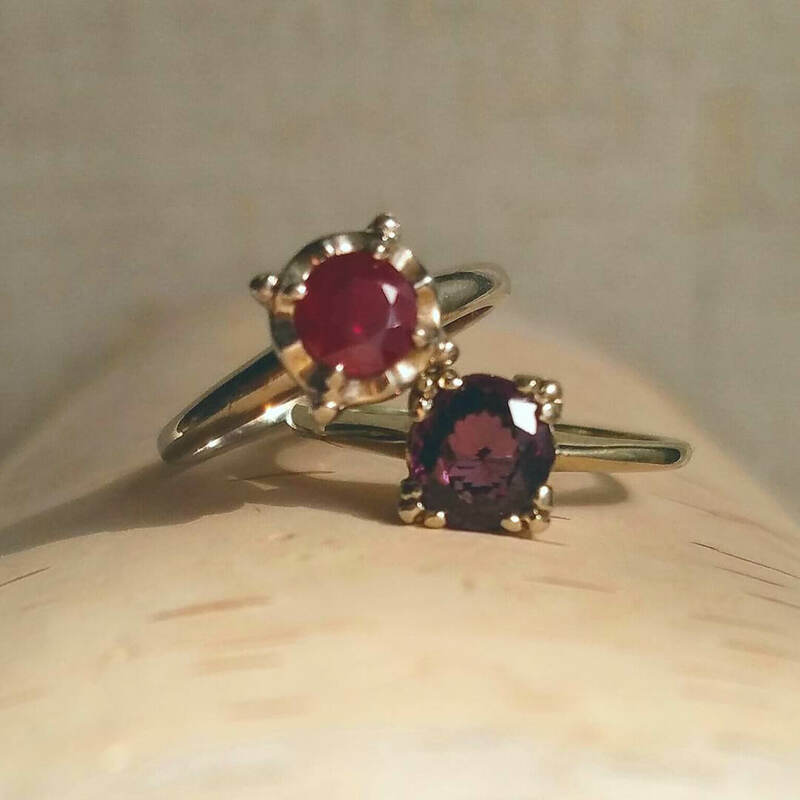 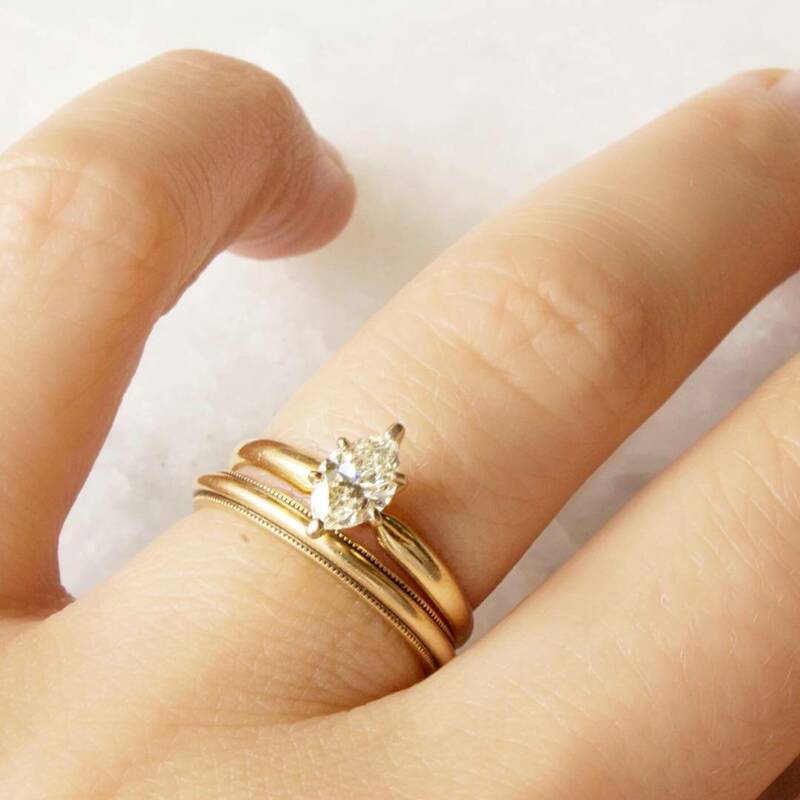 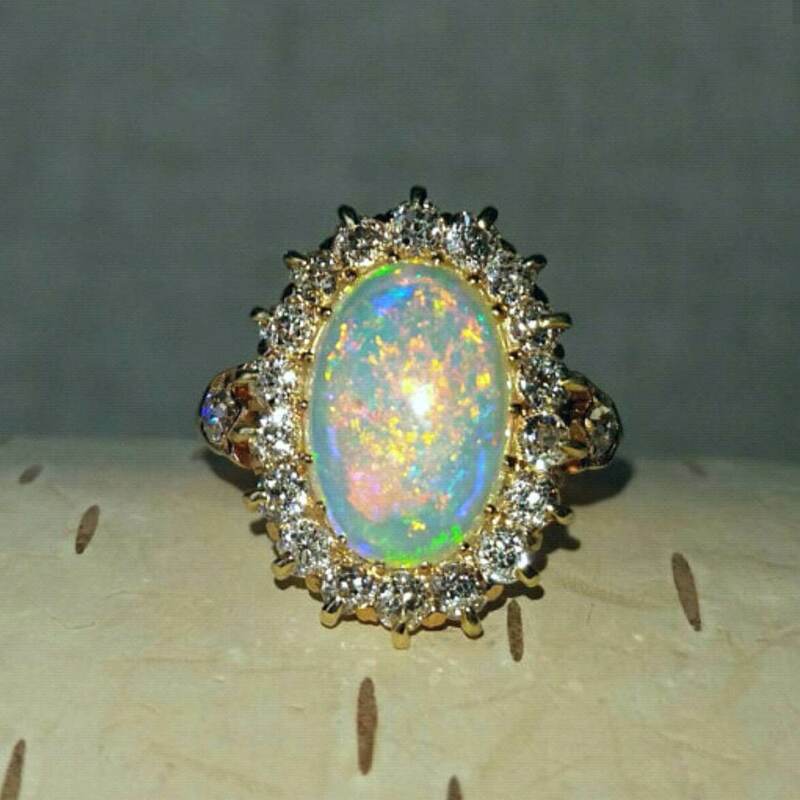 Vintage rings are more likely to have accent stones and scrolling on the ring band than the modern ones which tend to be sleek and straightforward, with minimal accents.